For many podcasters, the ultimate goal is monetization. But before sponsors come calling, there are things you can do to prepare for that day (hopefully soon!) that your episodes are sponsored? Following these steps will guarantee that your show will not be passed over when an advertiser reviews your show. You must consider the following. Long before you’re considering pursuing sponsorships – or before sponsors knock on your virtual door – you should be running “practice” ads – even if it’s just promoting your own show or an affiliate deal that fits your show content, says Blubrry CEO, Todd Cochrane. It gets your listeners accustomed to hearing ads on your show. Imagine you’ve been running a sponsor-free podcast for two years, and have accumulated a moderate but loyal and growing audience. One day an advertiser that’s a perfect fit approaches you about working together, and you say “yes.” Not only will it feel awkward to you to suddenly have to deliver a sponsor spot where there never was one before, but it’ll also be jarring for your listeners to hear an ad for the first time on episode 100. The earlier and more consistently you start driving home the idea that advertising supports the sponsors that make the show possible, the more likely that your listeners will accept and even embrace your ads. It gives you an inventory of sample ads. The best way to show a potential sponsor that you can deliver effective ad copy or the creative genius you are is to provide them with ad samples you’ve delivered in the past, and one great way to do that is by having a reel of sponsored spots you’ve done. The best way to save those is to save the clips with 30 seconds of lead-in, the ad spot and 30 seconds of post ad content. This will give advertisers a sense of how you lead in, deliver and roll out of an ad spot. Doing ads, even if they are affiliate deals or promotions of your own show or your colleague’s shows, automatically gives you a selection of sample build a reel when you need to “wow” an advertiser. Preparing for a changing advertising landscape. Start keeping track on every single episode where an ad could be injected into your content. If you’re doing your show and find a natural transition spot record that time hack. HH:MM:SS.sss to the best of your ability. More on this later. CJ.com or Share A Sale are great places to get access to affiliate deals with low barriers to entry and often attractive commission rates and promotion codes. If there’s a product you use often and love, Google the name of the brand + “affiliate” to see if they run their own affiliate program and apply for it. You may be connected with influencers and thought leaders who sell courses and information products online. Often these gurus will offer affiliate partnerships when they launch new products and services. What about your own product or service? An ebook or e-course can be a great way to get people to visit your site, and it gives you something to promote on your show. Ask other podcasters if they would consider doing a promotion swap: you advertise their show during a sponsor segment, and in exchange, they advertise yours. You can simply sign up as an Amazon Associate, and use your ad spots to direct people to links in your show notes. When you’re left without anything to promote, just promote yourself! Talk about an event you’ll be attending or a blog post you recently wrote, or just talk about other episodes that might interest your listeners. The trick is to structure it like a sponsored segment and place it in a spot where you’d like to run ads. The closer your promotional segments are to “real” sponsored spots, the better the practice will be. Keep the ads relevant. While it might be tempting to run the same affiliate ads as all the big podcasters seem to, consider whether a potential affiliate is really a good fit for your particular show and your particular audience. You might be better off promoting a friend’s podcast for free if your audience will love it and they’ll return the favor, than plugging a brand that your listeners aren’t likely to be interested in. Deliver. Every time. “Treat every ad, even one you’re running as a test as if you were getting a multi-thousand-dollar check for the ad spot and deliver accordingly,” suggests Cochrane. “It’ll make it easier for prospective advertisers to want to sign on with your show.” It’ll also make your show’s quality that much better. Prepare for ads to be dynamically inserted in the future. “Dynamic insertion” refers to a type of ad inserted at a pre-determined time in the episode (Step 4). As your show continues to grow and as the podcasting advertising space evolves, you will have more and more opportunities to monetize through what we expect to be brand advertising and hybrid host endorsement with ad spots that are dynamically-inserted that have targeted delivery and then are removed or replaced day to day, week to week, month to month. You won’t be able to take advantage of these future opportunities unless you plan now and for dynamic insertion as you’re recording and editing. “For example, if you pay attention while you’re editing and at a certain timestamp find a place that sounds like it would be a good place to transition and insert an ad, you can insert a two-second pause, record the time hack for the middle of the pause where the ad can be inserted at a later date,” says Cochrane. Podcasters need to plan for dynamic insertion of ads and consciously planning their episodes and notating those sweet spots so that in the near future, if a sponsorship deal comes up that you are ready to capitalize, so we can drop an ad in that spot. 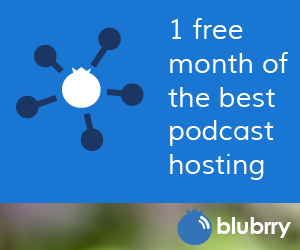 Ready to start looking for paying advertisers and making money from your podcast? 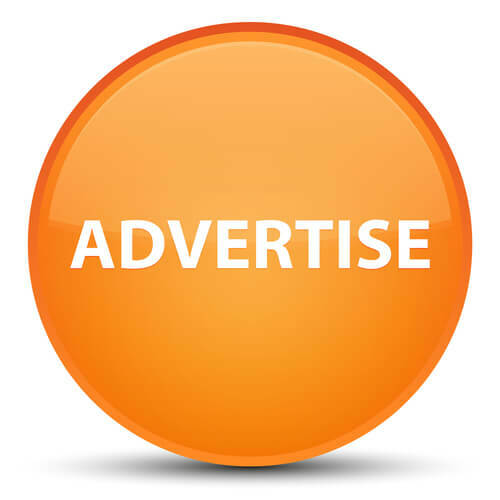 Consider joining Blubrry’s advertising network. In the third episode of Your Podcast Todd and Mike go over some breaking news — Apple has rebranded iTunes Podcasts to Apple Podcasts. Apple Rebrands iTunes Podcasts to Apple Podcasts. They also talk about Adam Curry’s new device for podcast production, some topics around advertising, slow feeds, rebranding your show and even an listener question. Thanks for listening and subscribe to the show to be the first to get new episodes every other Monday. For a discount on tickets, use promo code: “blubrry” for 10% off! – Advertising deals – Medical related, and military related. – Slow, aka cheap hosting service and RSS feeds. – Sequencing your show in a methodical way. I’m really loving what you’re doing with “Your Podcast ” I’m already a big fan. Your last episode made start questioning something I have recently started doing in an effort to get my podcast to as many ears as possible. My podcast lives at mikeypod.com which is a self-hosted WordPress site and I happily use powerpress. A couple months ago I decided to also upload each new episode to soundcloud and mixcloud thinking that if I am clever with my tagging on those site, I might get some new listeners who would then follow the link back to my site. Now I am starting to wonder if that is not such a good idea after all — do you have any thoughts about this? Am I shooting myself in the foot by taking attention away from my own website? Rebranding or changing services? You must do it in a particular order to keep your subscribers. 1. Keep your old site/domain alive for a while (30 days is good for most situations). 2. Move your media — if needed (PowerPress has import and migration tools built in). 3. 301 redirect your old feed to your new feed. If your current service will not 301 redirect your feed, then double post to the new and the old feed for 4 episodes (or 30 days) with an announcement in the old feed saying you are moving and where you are moving to. You must keep both services running for that time to be sure to get most of your subscribers to move. Hello again! 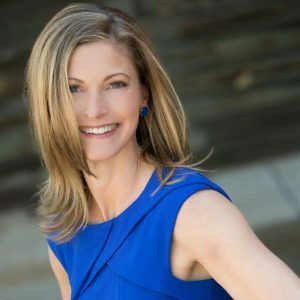 This episode of the PowerPress Podcast MacKenzie spoke with Nancy Gaines and they talked about her podcast, The Nancy Gaines Show, as well as the IAB Podcast Ad Metrics Guidelines document that was released earlier this week. For those of you that don’t know, the Hitachi Foundation helps businesses that are helping the economy thrive and improve. They also happen to have a podcast coming up soon, the Cambridge Optimists. You can submit your story to be on the podcast – that is if you’re an entrepreneur. Next up in the episode, MacKenzie learns all about Nancy’s consulting team and business and what she loves about podcasting. She’s also a big fan of Blubrry tools and services. Lastly, Blubrry was heavily involved in the creation of the IAB Podcast Ad Metrics Guidelines that were recently released to the public. These guidelines ensures everyone is on the same page for podcast advertising, and sheds light on information that not all podcasters, media buyers, etc previously were not aware of. Please, listen and subscribe! Thank you! Submit your story to the Hitachi Foundation podcast! On this episode MacKenzie and Todd give you all the details on what the Blubrry Priority Partner Show List is, you’ll learn how to get on the list. Blubrry has a new feature available to make advertising even easier. If you’re looking for advertising for your show, fill out the agreement and your show will be shown to every campaign we come across. 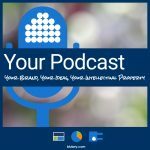 Not only do they talk about advertising for your show, they discuss a recent article on how to get booked as an expert on podcasts. Todd has extensive experience in this area, so he has a lot to say on the topic. Thanks for listening, subscribe to the podcast whatever way you want, over there on the right hand side. On this episode of the PowerPress Podcast Todd Cochrane discusses multiple topics ranging from advertising to Blubrry’s new phone support. 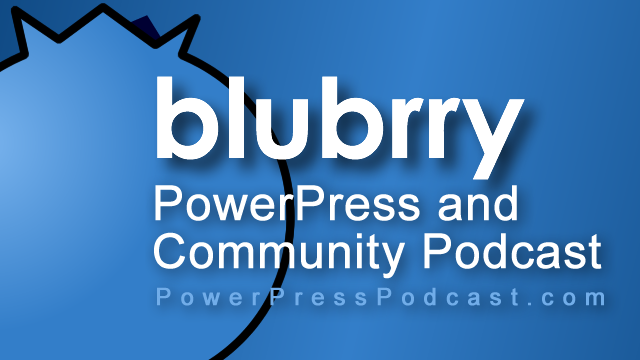 MacKenzie has been busy at the Blubrry headquarters working on the upcoming PowerPress Sites launch, coming out May 9th!, and wasn’t able to get a new episode in this week. Don’t worry, she’ll be back in two weeks with a fresh episode about using PowerPress. Thinking about heading to Podcast Movement? We’ve got a discount for you. Use the code Blubrry and save $40 off of your ticket. Get registered now! Ready for another conference a month later? The Elite Man Conference is happening August 5-7 in the Boston area. Use our code to save 10% off your ticket. Learn more here and use Blubrry10 to save! Leave us a review for PowerPress! Free phone support at Blubrry! Podcasts that are listened to from a browser window (like on a website or show notes post) do “count” as downloads. Contrary to what many believe, if a listener plays your podcast in their browser window, it is a download, and is recorded just like it would be if they were listening on iTunes or another podcast application. So while it’s great to get people to subscribe to your show in iTunes if possible, it’s not the end of the world if some of your listeners prefer to listen the old-fashioned way! Blubrry and other industry leaders use sophisticated methods to accurately measure each podcast’s listenership. Contrary to recent implications of a “Wild West” environment when it comes to reporting podcasting statistics, Blubrry and other industry leaders have long ensured that download data is accurate, measurable and honest. In particular, Blubrry has always taken great pride in the accuracy of our statistics, which means we work hard to cancel out erroneous downloads via constant monitoring and proprietary algorithms that we regularly tweak. Blubrry has built custom filters to prevent fraud, and in some cases, even white label IP’s that originate from enterprise networks. So if you’re using Blubrry statistics, you can be confident that the number of downloads reported for your podcast is as accurate as is scientifically possible. Combined with the provided show trending data, podcasters can get a very good picture of their show’s overall audience size and whether the show is growing. 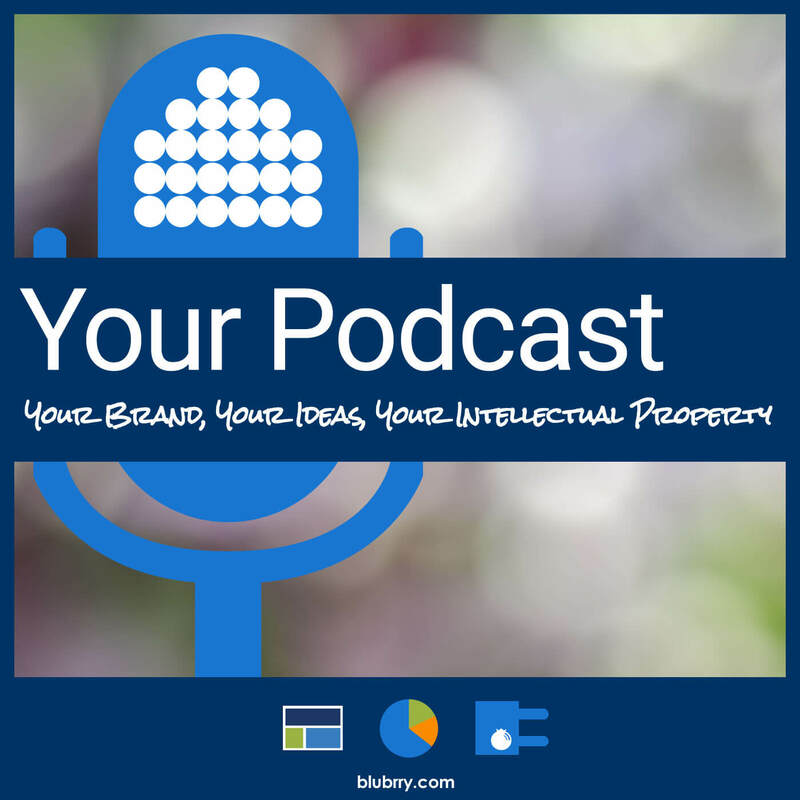 As RawVoice/Blubrry CEO Todd Cochrane said emphatically in our recent Q&A about 2016 podcasting trends: to Blubrry, you’re more than just a set of numbers! Whether your show is large or small, or you have 50,000 listeners per episode or 10, you’re important to us – and as they continue to evolve along with this space, you’re increasingly important to advertisers, too. The upshot? Definitely keep an eye on your podcast stats – they can tell you a lot about trends and help you watch your audience grow, and they’re essential for landing deals with advertisers. But don’t obsess. Numbers are important, but they aren’t everything. 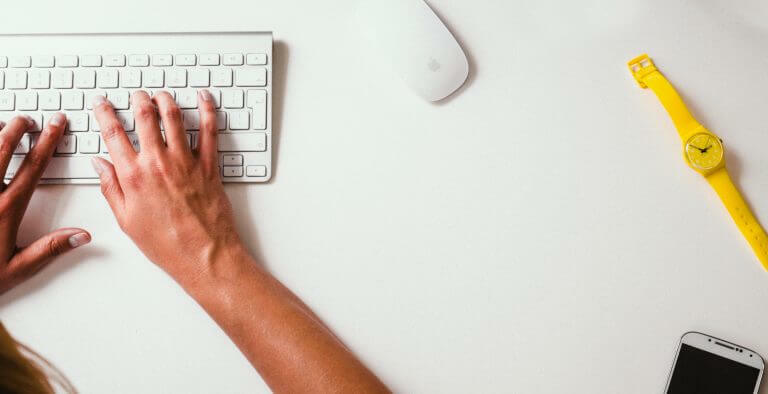 Focus on creating the highest-quality content you possibly can and building a relationship with your audience, and watch your influence – and yes, over time, your stats – grow. This episode of the PowerPress Podcast was a little different. Todd Cochrane, CEO of RawVoice and Blubrry, joined MacKenzie to talk about advertising on your podcast. It’s been a topic that they’ve wanted to talk about for a while now and you get the inside scoop on how it works with Blubrry. News kind of took a hit this week on the podcast, but MacKenzie got in her podcast chronicle of the week as well. Leave us a review for PowerPress! As we mentioned before, the setting has changed. It applies to the entire program (also referred to as the RSS channel) as well as to the episodes (also referred to as RSS items). iTunes has rolled out an update to their podcast directory that now strictly displays, either a ‘clean’ or ‘explicit’ tag next to each podcast program listing, as well as next to each episode. The previous behavior allowed for a 3rd option, which was the ability to not specific clean or explicit. Most podcasters selected the ‘no’ option for the explicit which displayed nothing. The belief was that the ‘clean’ tag was intended for content that was safe for all ages and if you show wasn’t intended for children, it didn’t matter. Now it does. Please take a moment to review your PowerPress setting and make sure you have ‘clean’ or ‘explicit’ selected in your settings under iTunes. As part of my fiduciary duty at RawVoice, I am required to make sure all of our advertising campaigns are reporting and being billed correctly. Having highly accurate reporting is priority number one to me so that we can pay our podcasters on ad deals fairly, but also to ensure our advertisers are billed only what we have delivered. I love statistics; it was one of my favorite courses in college so I often drive my team members crazy by asking them to calculate a weird stat or explore a new trend. What I aim to do in this series of articles is answer questions you might have on podcasting trends and provide you helpful insights. Feel free to reach out to me via the contact info on the site to send me questions. Today, I want to talk on two topics: Truth in reporting podcast statistics; and a new statistic we’re calculating for our corporate clients that shows what percentage of a media file is actually streamed and / or downloaded. I have been managing podcast ad deals since 2005 and have seen the good, bad and the ugly. My sole philosophy when it comes to podcast stats is simple: I don’t care what the number is so long as I know what the true number is. A week does not pass without someone contacting me to tell me they have 100,000 listeners per episode and want to work with us on securing advertising. My response to them has always been to get on our stats and we will talk in a couple of weeks. Often, the follow-up discussions are spent explaining to them why their audience size assessment was inaccurate. The past couple of years we have been involved in the audits of podcasters’ reporting data that has more times than not ended disappointingly for the podcaster. It is not usually negligence on their part, rather their trust in a home-grown tool, or some non-podcast stats system. Let’s look at the impact of improper reporting. If a podcaster was audited to have delivered 100,000 downloads from a trusted stats system, yet had originally billed for 500,000 from a system they employ, this will significantly, negatively impact the performance of the campaign, not to mention the cash that has to be returned to the media buyer. The podcaster may be denied a follow-on campaign, whereas they may have extended the campaign had the initial reporting been accurate. These situations cause advertisers as a whole to lose faith in podcast advertising. What constitutes a trusted stats system? From experience, we know that we have to tweak our stats engine weekly to keep up with all the bots, rouge apps, bad code and the overall deviations on the Web. We also know you need volume to see trends. For instance, we found a recent update of a browser that was causing bloated numbers — without weekly monitoring that would have caused inflated data. If you have created your own solution, and it does not have the scale/volume and safeguards to see and flag trends such as a single-browser version inflating calculations, over time issues such as this will compound and cause inaccurate numbers reporting, both high and low. 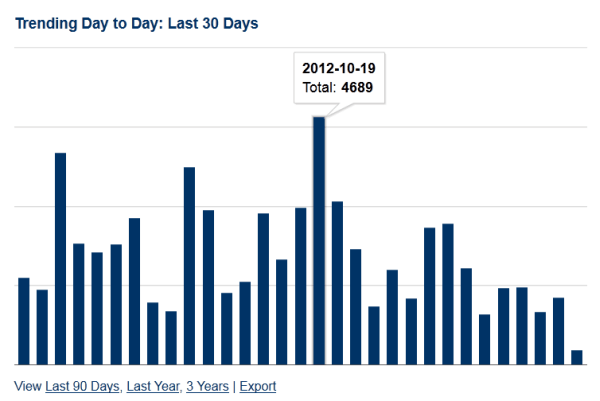 Most shows and networks do not have the time, traffic volume or staff resources to track such changes. Media buyers are already starting to ask hard-hitting questions, and some are implementing or contracting statistics solutions that require podcasters to be on the media buyers’ tracking and stats system. You do not want to be on the wrong side of reporting numbers when an audit puts you in a position that could have a negative financial impact. If you are a member of a network and they are doing ad deals for you, your reputation could be damaged by improper reporting, so always question the network leadership about how the podcasts statistics are being determined. As important, ask questions of your existing stats provider. How much of a media file is being streamed / downloaded? We recently did some research that we revealed at the New Media Expo this past January. We have been studying activity that can be broken into five categories detailing what occurs when a media file is queried. We found the following information that should give you some new insights into media consumption. To do this, we took a snapshot of a network of podcasts, episodes in this network had billable downloads ranging from 2,000 downloads to 120,000 downloads per episode. We took a one-month sample of every episode / show and averaged out the totals below. Now these numbers may shock you, but take into account that the network ended up having more than 5.60 million billable downloads. In future posts I will go much deeper and explain details on each of the above data points. What I want to impress upon you today is that unless you have specifically coded a filter for requests that are duplicate, repeats, bogus, etc., it is easy to understand how a show could end up with 55 percent more reported downloads than actually occurred. 'Tis the season of love, family and appreciation and we're incredibly thankful for our more than 13,000 content creators and our growing family of online broadcasters. To help show our gratitude, we're offering all new media hosting customers free transfer of up to 10 gb of your media from your old host to Blubrry now through Dec. 31. 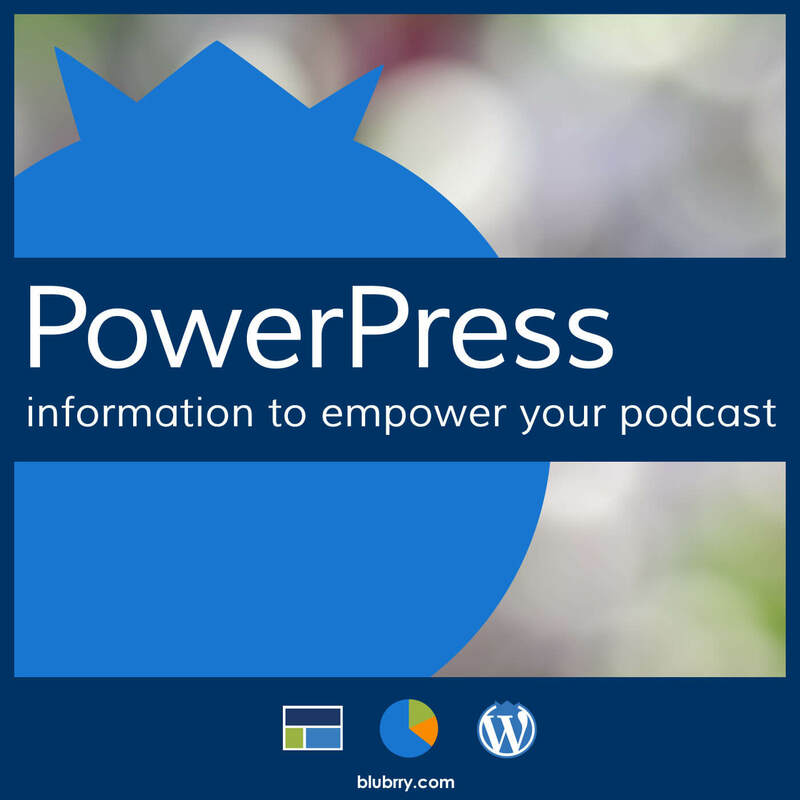 Blubrry Podcast Hosting is highly integrated for those of you who are using WordPress with the PowerPress plugin. We combine premium stats, media hosting, advance tools and multiple avenues to grow and support your show. You focus on the media creation; we'll take care of the rest. And now, get your existing shows transferred to us . . . on us. Just make sure you have a valid RSS feed with links to the old episodes and contact us at https://secure.blubrry.com/order.php and we'll get you going! Support the company that supports you! Happy holidays! We're thankful for you! GoDaddy Official TPN Media Sponsor for CES! absolutely extreme conditions how powerful GoDaddy 4GH hosting is. We have an amazing product offer as well. Special CES offer 25% off 4GH hosting plans (12 months+) this code will work even if GoDaddy is having a sale! The promo code for this amazing offer is CES2 check it out today!